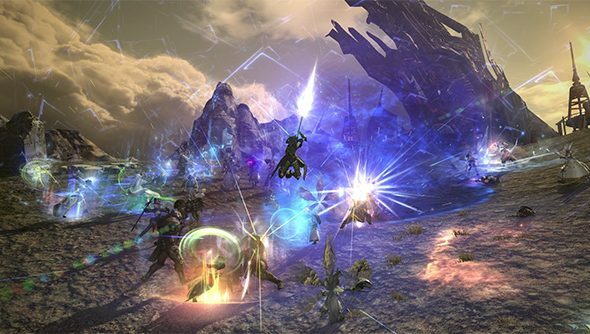 The near enough fourteenth Final Fantasy game is throwing open its doors today and inviting buy-curious players to sample a fourteen-day trial of the MMO, free of charge. The trial will limit dabbling players to level 20, which is still a fairly hefty chunk of Eorzea to get stuck into. Eorzea, in case you are wondering, is the random collaboration of syllables assigned to the world in which Final Fantasy XIV: A Realm Reborn is set. Check out the above trailer for a taste of what the most recent patch introduced: a magnificently bearded gentleman as well as a smattering of new dungeons and interior decorations. The Final Fantasy MMO isn’t one I’ve personally dabbled in, something my vague observations about its silly place names might betray, but a fortnight-long invitation to poke my nose in might just sway me. The Chocobo Raising update is especially intriguing, as the big yellow ostrich things are far and away the best feature the series has to offer. Square Enix are also offering incentives for existing subscribers to invite friends to play. Recruit a buddy and you’ll stand to receive a special Chocobo capable carrying a second passenger. Aww. You can find out more, or start your trial, on the game’s community page.